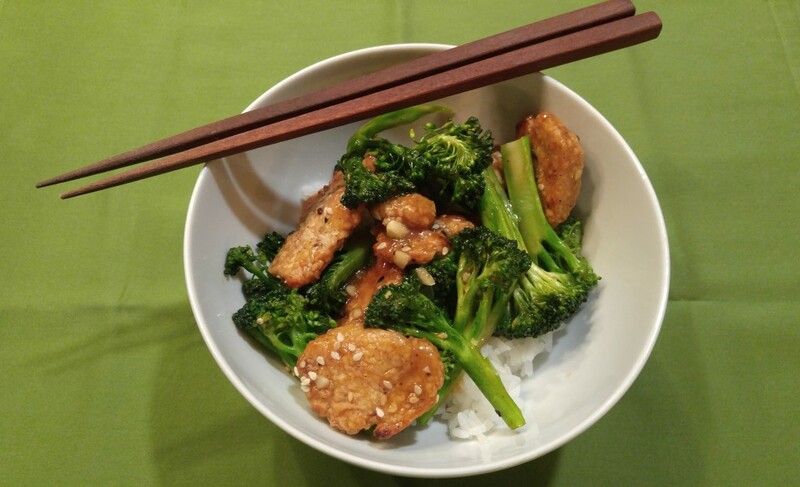 I love sesame chicken with broccoli, but the take-out version is fried and loaded with fat and calories. This recipe is a modification of a great recipe that I found on Woks of Life (which is a great cooking blog BTW). The chicken is baked instead of fried, and the results are incredible. I’ve added lots of fresh broccoli to up the veggie quotient. Serve with brown or white jasmine rice and you have a healthy meal. 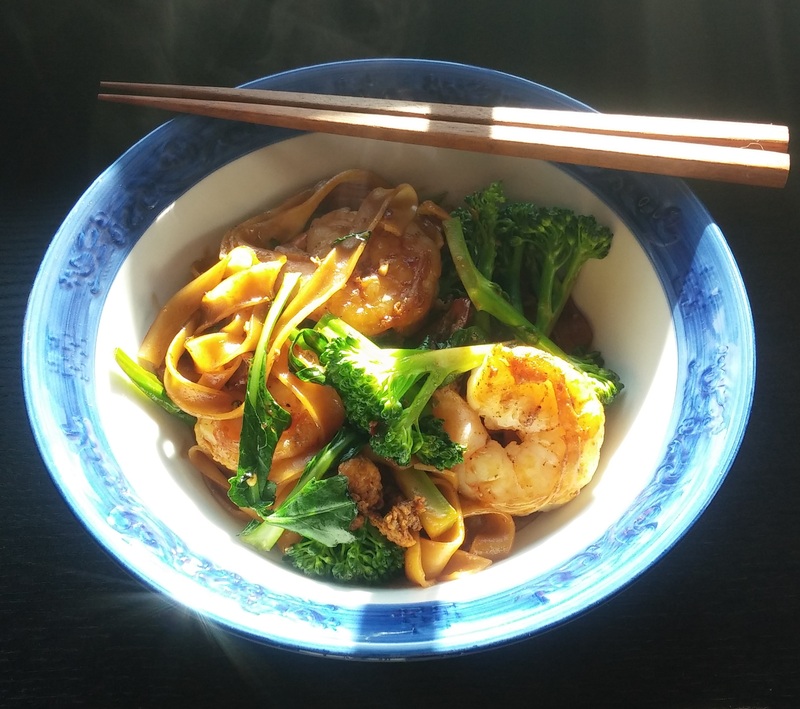 I have been trying to make a great Pad See Ew at home for years without success. I began trying again recently, and I’ve finally come up with something that I’m excited about. If you aren’t familiar with Pad See Ew, it’s a popular Thai noodle dish with broccoli and two types of soy sauce. In addition to traditional “light” or “thin” soy sauce, this dish uses “thick” or “sweet” soy sauce for additional depth and complexity. You can find this kind of soy sauce at Asian markets or here. Traditional Pad See Ew uses fresh, wide rice noodles. I have never had success working with fresh rice noodles. First of all, getting them requires a trip to the asian market. I love going to the Asian market, but it’s kind of far from where I live, so I don’t there very often. Secondly, when I work with them, they tend to break up into a million little pieces. For me, the dried noodles just yield a better result. You can easily make this vegan by omitting the eggs and replacing the oyster sauce with a vegan version that is made with mushrooms or a little mushroom bouillon. You really need a wok to prepare this dish properly. It’s good to be able to push the cooked egg to the side of the wok to prevent it from becoming rubbery. Additionally, you should cook this dish on high heat so that you can get a bit of char on the noodles. A delicious Thai noodle dish with plenty of broccoli. Fill a large pot of water with hot tap water and add rice noodles. Allow noodles to soak for ~30 minutes to soften them. Combine sweet soy, oyster sauce, regular soy sauce, rice vinegar, sirracha, sugar and garlic in a small bowl and stir to combine. Heat wok on high heat and add 1 TBSP peanut oil. Add prawns (if using) and stir fry for ~3 minutes until they are nearly cooked through. Move prawns to the sides of the wok and add egg and cook for another 1-2 minutes. Push egg to the sides of the wok with the prawns and add softened rice noodles and sauce. Stir-fry noodles until most of the liquid from the sauce is gone. Add broccolini and cook until tender crisp (about 2 more minutes). During this time let noodles sit and develop a bit of char on them. Once broccolini is done, serve immediately. * I like to use broccolini, but you can use regular broccoli instead. Better yet, use Chinese broccoli if you can get your hands on some. I was excited to try a new restaurant this week: TanakaSan. Overall the meal (which included shrimp fritters, a coconut beet salad, and a hamachi sashimi with apple) was a little disappointing, with the exception of an amazing noodle dish with miso butter. I decided to try making my own miso butter noodles with some beautiful baby bok choy and shitakes that came in my Full Circle Farms delivery. 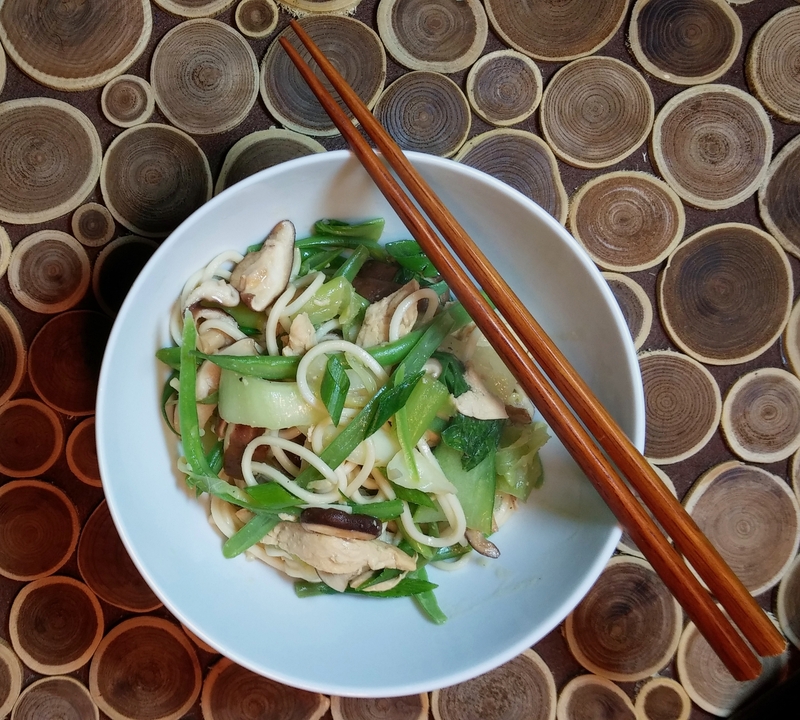 Miso butter makes this super fast and healthy noodle stir fry interesting and special. Combine miso, butter, and tamari in a small bowl and mask together with fork to combine. Drain noodles, reserving 1/2 cup cooking liquid. Add reserved cooking liquid to miso mixture and stir to combine. Heat canola oil in large skillet on medium high heat. Add shallots to pan and stir fry for 1-2 minutes. Add shitakes and stir fry for another minute. Add bok choy and haricort verts and cook for 2 more minutes. Add miso mixture and noodles and toss to combine.